Samurai Breaks and Fragmented boss Dyrekt land on the latter’s label this month with a four track EP of dutty halftime goodness. To celebrate, we tracked them down and asked them for their Top 5 halftime cuts…check it out. Such a nice slow mover with one of the most serious vibes we’ve heard all year. Love the progression of the track, slowly bringing in new sounds one at a time throughout to keep it fresh while not completely changing everything up. Of course as well those vocals from Fokus are out of this world! Can’t get enough of this one, been listening to it on repeat since it came out. Absolutely love the use of kicks and percussion to give such a fast paced energy to the track. The little breaks in the beat really let all the various amazing sound design going on in the basses breathe. This one has pretty much everything we love about halftime. A wonky rhythm between the Drums & the bassline, some funky sounding percussion, sizzling tops and brilliant bass stabs that really make the face screw! Revaux never cease to impress us with their output. It wouldn’t really be a list of tunes without an Alix Perez track in there somewhere would it? This one is really something special. It’s certainly not the newest song on the list but maybe that’s what makes it so special – it has featured in almost every one of our DJ sets since hearing it! That lead, the deep sub and finally that monster snare is all that needs to be said really! Unreal. Of course we had to include one from the new EP in the list and this one takes the biscuit. Weird, experimental but fundamentally downright heavy halftime full of the most vile and disgusting sounds we could cook up, and even the occasional break to really catch you off guard. If there’s one track you listen to off their new EP we suggest this one! You can check out two more tracks from the release below. 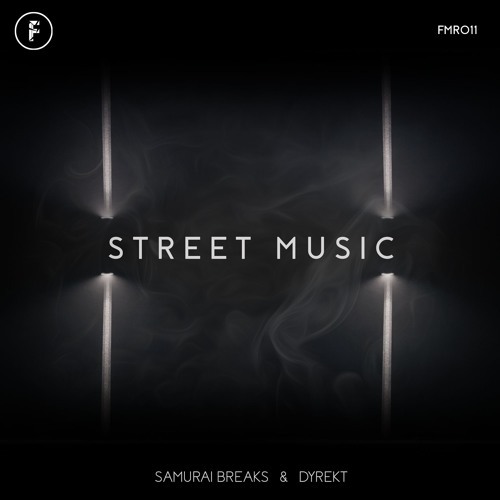 The Street Music EP is out today on Beatport!